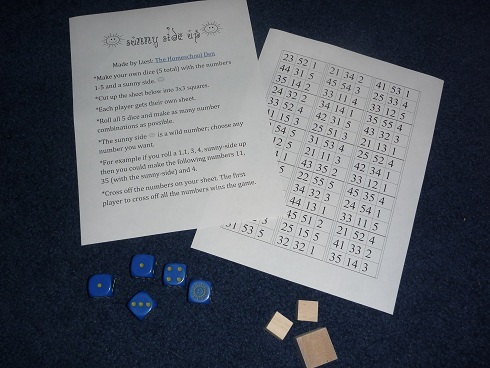 This is a game I’ve played with all of my kids as they’ve started working on double-digit number recognition. 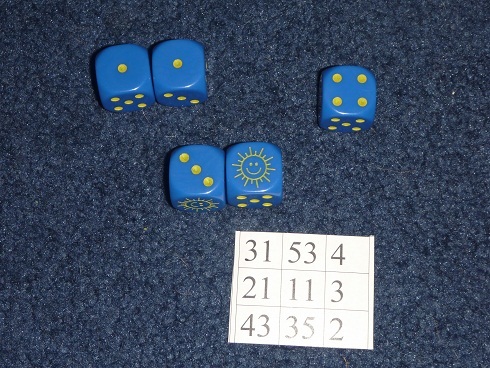 *Make your own dice (5 total) with the numbers 1-5 and a sunny side. 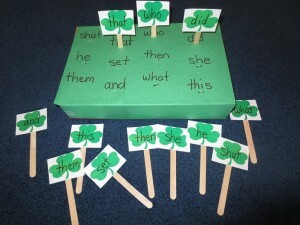 You can use wooden cubes (available at a craft store such as Michaels). 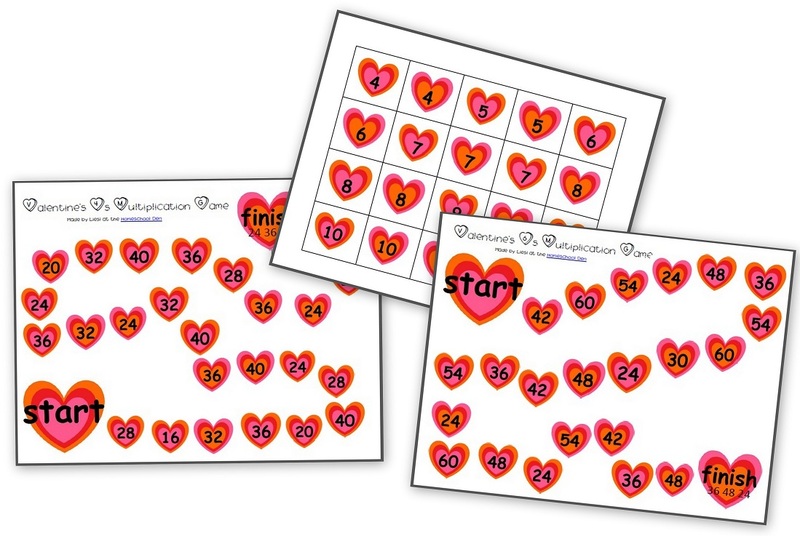 *Each player gets their own 3×3 square card (available here). 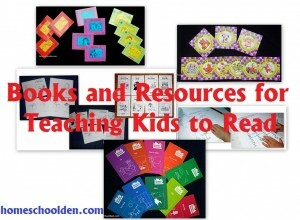 *Roll all 5 dice and make as many number combinations as possible. *The sunny side is a wild number; choose any number you want. *For example if you roll a 1,1, 3, 4, sunny-side up then you could make the following numbers 11, 35 (with the sunny-side) and 4. *Cross off the numbers on your sheet. Then it is the next player’s turn. *The first player to cross off all nine numbers wins the game. You can make your own dice with wooden cubes such as the ones I placed in this photo above. 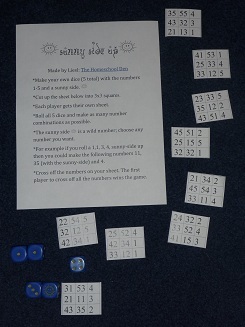 You can get a copy of the directions and the playing card sheet I made here, Sunny Side Up, or you can easily jot down 9 numbers using the digits 1 though 5 on an index card. Previous story Learn All About Mars, “Curiosity” is Landing Soon!